Attorney at Law Neil T. O’Donnell has been named one of the top 10 Pennsylvania lawyers for 2008 by Super Lawyers Magazine. Each year, Super Lawyers sends a survey to thousands of attorneys across Pennsylvania who have been licensed for a minimum of 5 years. Based on the results of this survey, Super Lawyers selects the top 5% of lawyers with in the state. Not only was O’Donnell named as one of PA’s super lawyers, but his recognition as one of the top 10 in PA further distinguishes him among the best attorneys in the state. As explained on www.superlawyers.com, “The objective of the Super Lawyers selection process is to create a credible, comprehensive and diverse listing of outstanding attorneys that can be used as a resource to assist attorneys and sophisticated consumers in the search for legal counsel.” Lawyers nominated are done so by peers who have seen their performances first hand. The report is issued every June in Pennsylvania Super Lawyers magazine, as well as a special advertising section in Philadelphia magazine. Catherine R. O’Donnell, associate at O’Donnell Law and wife of Neil T. O’Donnell, was also named as a Pennsylvania Super Lawyer for 2008, as well as in 2007. Attorney Neil OâDonnell has been named by Pennsylvania Super Lawyers as a top attorney in Pennsylvania each year since the rankings began in 2004. Specializing in the needs of injured victims, O’Donnell handles cases ranging from workers compensation to wrongful death litigation. 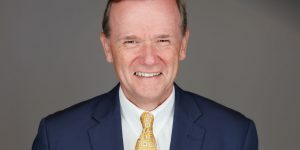 Mr. O’Donnell is a graduate of University of Pittsburgh School of Law and is a Board Certified Civil Trial Specialist and past President of the Northeastern Pennsylvania Trial Lawyers Association. He serves as a frequent lecturer on civil litigation topics, and has also been recognized by the Million Dollar Advocates Forum and the Bar Register of Pre-eminent Lawyers.